Grigor Palikarov (was born in 1971 in Plovdiv) graduated National High School of Music And Dancing Art “Dobrin Petkov” – Plovdiv. 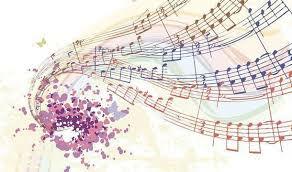 His main major was piano, which he graduated with full scores and golden medal in 1990. After that he achieve a diploma of master degree from The National Musician Academy “Pancho Vladigerov” – Sofia , for the following majors : opera and symphony conducting with prof. C. Kazandjiev and prof. Yves. Vulpe; composition with prof. D. Tapkov, piano – with Prof.. Kr. Taskov and choral conducting with Professor. St. Kralev. He specialised in composition with Professor Erich Urbaner at the Vienna Conservatory, Austria. His debut on the opera stage was as a student (22 years), when he conducted “Rigoletto” at the opera houses in Pleven and Stara Zagora. His professional career as a conductor began in Symphony Ensemble of the Bulgarian Army (1995-1997), and from 1997 to 1999 he was a chief conductor of the Ensemble. Meanwhile, he assumed the post of chief conductor and artistic director of the Youth Philharmonic “Pioneer” (1998-2003). He also debuted at the National Opera and Ballet in Sofia in 1998 by conducting a gala concert of Gena Dimitrova. 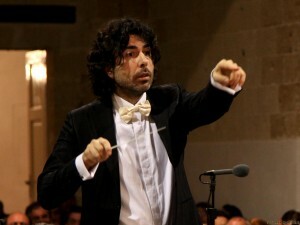 Since 2001 he was appointed as a full-time conductor of the Opera and into the current moment his repertoire includes more than 55 opera and ballet titles. Since the beginning of the 2005/06 season, Mr. Palikarov has also taken the position of General Artistic Manager and Conductor of the Symphony-Operetta Orchestra „ m-ro G. Atanasov” – Pazardzhik. Mr. Palikarov is often invited as a guest conductor of many orchestras and opera theatres in Bulgaria among: Symphony Orchestra of Bulgarian National Radio, Classic FM Orchestra – Sofia, where he is a permanent conductor for the 2008/09 season, Sofia Philharmonic, Festival Orchestra – Sofia, State Opera in Plovdiv, Burgas, Varna, Ruse and Stara Zagora, Pleven Philharmonic etc. After series of conducting appearances, special place occupy numerous studio recordings of various musical composition with the Symphony Orchestra of the Bulgarian National Radio, as well as participations in prestigious national and international music festivals such as “Sofia Music Weeks”, “March Music Days” – Rousse, “European Music Festival “- Sofia,”Apollonia “Laureate days” Katya Popova “- Pleven,” Austrian Music Weeks “,” New Bulgarian music “,” Winter Musical Evenings “- Pazardzhik, Festival of Opera and Ballet Art – Stara Zagora , Festival of Contemporary Music – Pula, Croatia, “May Opera Evenings” – Skopje, Macedonia and others. Mr. Palikarov regularly carried out many tours abroad including countries like Germany, Austria (with Ensemble “New Ton,” Vienna), Belgium (with the National Orchestra of Belgium), France, Italy, Luxemburg, Macedonia, Slovenia (with the National Opera and Ballet-Ljubljana), Switzerland, Taiwan (with Century Orchestra-Taipei), USA (with Opera Circle-Cleveland), Japan, etc. His debut in the USA has been mentioned by the American critics as “one of the most important musical events for year 2009.” For state of Ohio, Krasnoyarsk opera and ballet – Russian Philharmonic “Janacek” – the Czech Republic and others. In October 2014 M-ro Grigor Palikarov has made two concerts with the Orchestra of Classic FM radio in the prestigious Alte Oper (Frankfurt) program of the festival EUROPEAN CULTURAL DAYS, organized by the European Central Bank. In addition to his work as a conductor, Mr. Palikarov composes music and performs as a piano soloist with different orchestras in Bulgaria, he also teaches musical analysis at the State Academy of Music and Dance Arts-Plovdiv as an Assistant Professor. Some of his works were performed at music festivals and recorded many times. For its successful appearances as a composer and pianist he has been awarded a number of prestigious national and international awards from the competitions “Svetoslav Obretenov”, “Albert Roussel”, “Music and Earth” and others. Mr. Palikarov is a winner of the prestigious “Crystal Lyre” of UBMD – 2001 and 2012 as well as the award “Golden Pen”. Within two terms Mr. Palikarov was chairman of the “Mensa” – Bulgaria. 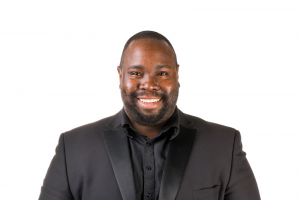 Nseobong E. Ekpo has been selected as a 2018 semi-finalist in two categories of The American Prize; The Ernest Bacon Award for programing of American music, and the Professional Conducting Award. Ekpo has conducted internationally in Bulgaria with the Pazardjik Symphony, China with the Beijing Opera Company, and Japan with University of Washington Wind Ensemble. His primary conducting teachers have been Peter Eros, Donald Portnoy, Tim Salzman, and master classes with Gustav Meier. A scholar and advocate for programing, Ekpo presented at lecture on Orchestral and Band Music composed by African-American composers at the 2017 National Association for Music Education conference in Bellevue, WA. Ekpo earned four degrees: a Bachelor of Music in Music Education, a Master and a Doctorate in Orchestral Conducting, and a Master of Business Administration. 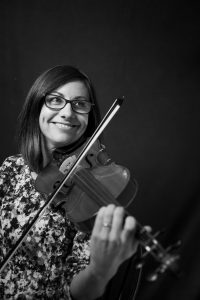 Erica Johansen holds a Master of Music degree in violin performance from the University of Washington where she was concertmaster of the University Symphony. Johansen earned a Bachelor of Music degree from the University of Puget Sound where she studied with Ed Seferian. Other teachers have included Rochelle Walton, Kyung Chee and Rene Staar of the Vienna Philharmonic. Johansen was a ten-year member of Symphony Tacoma, is concertmaster of the Lake Union Civic Orchestra, and performs with the new music ensemble Scrape. She lives in Seattle, Washington with her husband and two young children. Winner of various national and international competitions, Piero Romano is a pianist and conductor in many Italian cities as well as in Austria, North America (Carnegie Hall in New York), South America, Spain (Auditorium Nazionale-Madrid), Belgium, France France (Paris), Switzerland, Albania, Mexico (Palacio de Bellas Artes-Ciudad de Mexico), Venezuela, Greece (Megaron-Atene), Portugal. He has worked with the Greensboro Philharmonic Orchestra, the Alicante Symphony Orchestra, the Philharmonic Orchestra of Baden-Baden (the oldest orchestra in Europe), the Madeira Orchestra, the Nuevo Leon Symphony Orchestra, the European Chamber Orchestra, the State Orchestra of Athens, the soloists of Acquilas, the Symphonic Everett’s orchestra. He is well known for his work with Pavel Vernikov, Bruno Canino, Ilya Grubert, Reno Maronne, Robert Gutter, Vincenzo Marioze, Werner Stiefel, Katia Ricareli, Antonela Ruggiero, Leonel Morales, Rainer Schmidt, Stefano Bolani, Pierluigi Camicchi, Aldo Chicolini, Sergei Krylov, Noah, Roberto Capello, Michel Camilo, Sergei Nakariyakov, Tony Hadley, Luis Bakalov. 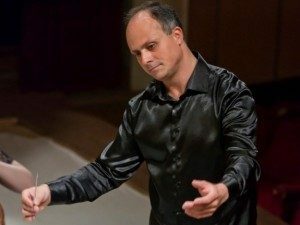 Since 2014 he has been director at Matera Conservatory and since 1993 he has been the artistic director of the Della Magna Grecia orchestra. He was also the artistic director of the Comune di Taranto Opera Season. His recordings include music by Gervasio, Poulenc, Rota, Lord Berners, Walton, Procacini. The German pianist Florian Koltun studied with Ilja Scheps at the music university in Cologne. Since 2013 he has worked with Tomislav Baynov at the University of Music Trossingen. He had Masterclasses also with prestigious teachers like B. L. Gelber or G. Rosenberg. His active concert work started at the age of 14 when already calling attention to himself by winning several first prizes at the German competition Jugend musiziert as well as the national Bach Competition in Köthen. 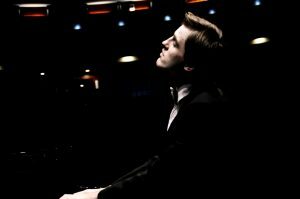 He is first prize winner of several international piano competitions, like the piano competition in Caraglio / Italy, the international piano competition for young pianists in Luxembourg, the Henri Herman Concours in Maastricht / Netherland or the international piano competition “Notes in harmony” in Bettona / Italy. Florian Koltun is regularly a welcome guest at diverse well-known concert places in Europa and Asia like Berliner Philharmonie, Schloss Elmau in Germany, Alte Oper Frankfurt, Thürmer-Saal Bochum, Schloss Koethen, Stadthalle Erkelenz, Qintai Concert Hall in Wuhan, Concert Hall in Xiamen, Henan Art Center in Zhengzhou, Concert Hall in Ningbo, Poly Grand Theatre in Hohhot and many others. He performed recitals in Germany, Belgium, Netherland, Italy, France, Spain, Poland, Austria, Armenia, England, Hongkong or China. As a soloist Florian Koltun appeared with many famous orchestras, among them Wuhan Philharmonic Orchestra, Sinfonieorchester Aachen, Kammerphilharmonie St. Petersburg and Berliner Camerata under the baton of famous conductors like Kazem Abdullah, James P. Liu, Juri Gilbo, Eduardo Strausser and Fuad Ibrahimov. He is a regular guest at international festivals such as Skrjabin Piano Festival Grosseto Italy, Piano Festival „federi musica“ Neapel Italy, International Piano Festival Salerno Italy, „IBLA Claasic“ Sicilia Italy, Piano Festival Orbetello Italy, „Friday Nights with Yury Revich“ Wien Austria, International Art Festival Kotor Montenegro, International Music Festival Deià Spain, Festival „Palau March Museu“ Palma Spain, „Festival de musique classique a Pompignan“ Toulouse France, Palais Sommer Dresden Germany, „Monschau Klassik“ Germany, „International Piano Festival Wuhan” China and many others. He is artistic director diffrent concert series and festivals in Germany (Heinsberg, Aachen, WIndeck, Geilenkirchen and Monschau) and gave several masterclasses at different music universities in China and Europe since 2012. From 2015 to 2017 he was teaching piano at the music university Cologne.